When it comes to anti-aging, certain truths are just accepted (and proven). One: hydration, hydration, hydration. Two: Sun protection is key. And three: Active ingredients are your friends, particularly retinol and AHAs and BHAs. There’s just one caveat: They dont play well together. But we hate to settle for just one, so we asked Dr. Rachel Nazarian of Schweiger Dermatology Group to tell us how to use both and get all the benefits. Scroll through to find out how it’s done. Acids, both alpha hydroxy and beta hydroxy, exfoliate skin. “Glycolic acid and salicylic acid work better in terms of chemical exfoliation—helping to resurface skin, lighten sunspots, minimize discolorations, and even out skin texture,” Dr. Nazarian says. 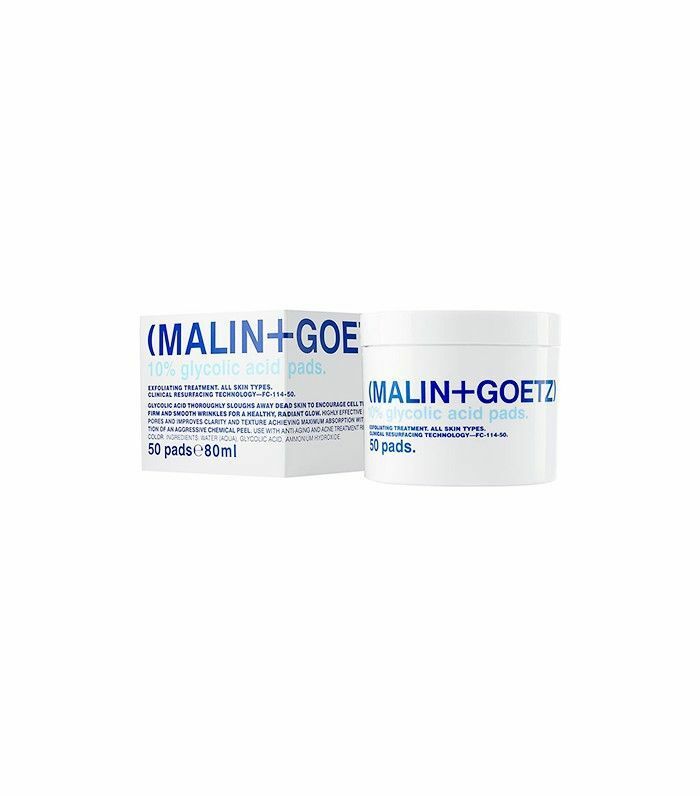 When you think chemical exfoliation with acid, think peel pads like Malin + Goetz 10% Glycolic Acid Pads ($48)—they’re a favorite because they’re effective. “Retinol works by decreasing melanin (or pigment production in skin) and decreasing sunspots, but is also capable of increasing collagen production in deeper layers of skin and helping to maintain the collagen and elastin already there,” Dr. Nazarian says. Retinols, like RoC Retinol Correxion Deep Wrinkle Serum ($21), remain the most dermatologist recommended anti-ager because of the scientifically proven benefits (it’s the most studied skincare ingredient to date). It’s agreed upon: These two categories of products are heavy-hitters in the anti-aging game. And they target different facets of aging. So, it only makes sense that you’d want to use both. But you can’t. At least that’s what the popular opinion has been—and it’s right, to a certain extent. You can’t use both at the same time. “These ingredients should not be mixed and applied at the same time,” Dr. Nazarian says. Applying retinol and AHA/BHA in one evening is a recipe for irritation. If it’s a Drunk Elephant T.L.C. Framboos Glycolic Night Serum ($90) night, skip any other products with vitamin A derivatives (retinol) in them. “To ensure each product is being used and maintained in its most stable form, apply only one product to your face nightly,” Dr. Nazarian says, adding that the best way to reap the benefits of both retinols and acids is to add them in one at time, allowing time to adjust to each one before switching to the other. “For example, one would begin by using a small pea-sized amount of retinoid once a week, and wait to see how the skin reacts before moving to twice weekly and then three times weekly. Once this regimen has been maintained for weeks, you can begin a topical acid once weekly on a night you’re not using the retinoid. 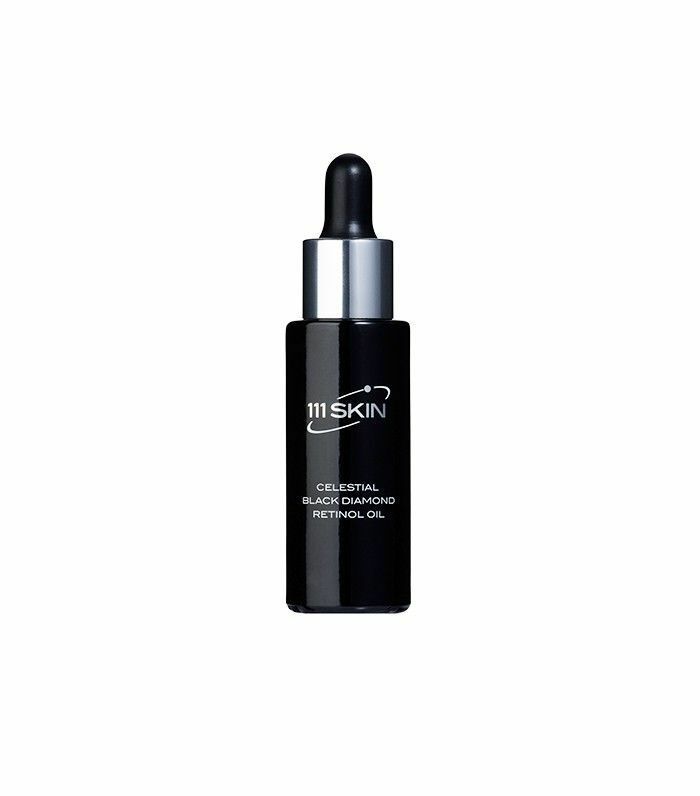 And then slowly increase frequency to every other night, alternating with the retinoid.” If you’re new to active ingredients like these, look for oil formulas, like 111 Skin Celestial Black Diamond Retinol Oil ($230), which also help soothe skin. Keep scrolling for two more of our favorite products to incorporate in any BHA/AHA-retinol duo! 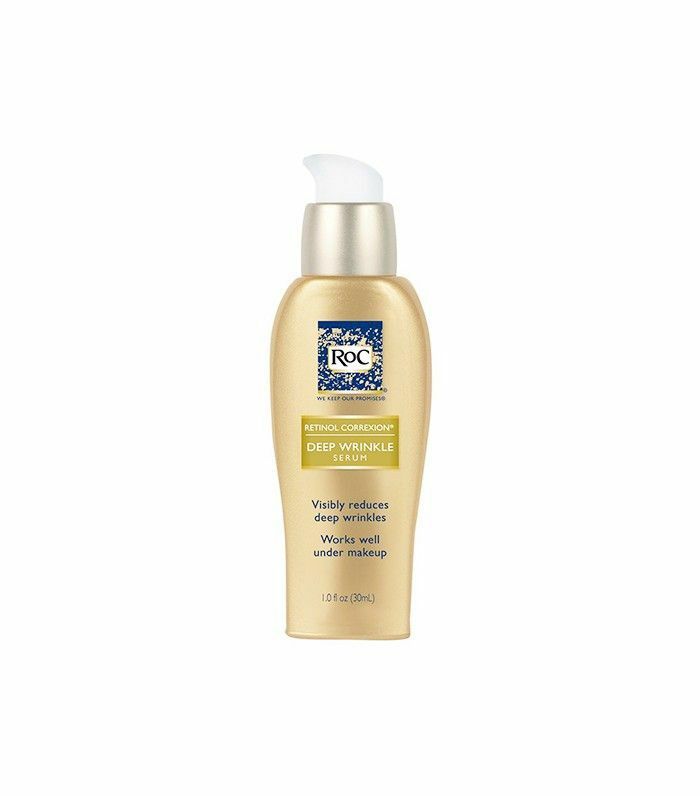 With a lower concentration of BHA, this lotion (which has a consistency more like a serum) is the perfect choice for sensitive skin and anyone easing into exfoliating acids. Despite the name Retinol Intense (it does have double the retinol of the previous version), this product is surprisingly gentle on the skin. You can thank vitamin E and primrose oil for the hydration benefits. Do you retinols or acids? Tell us your favorite anti-agers in the comment below!